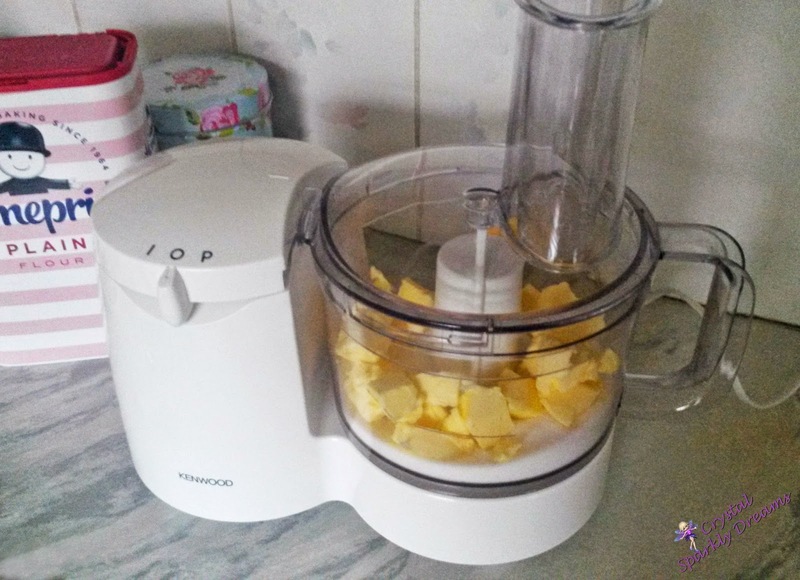 Hi everyone, today I'm going to tell you how I make my yummy Chocolate Chip and Almond cookies. 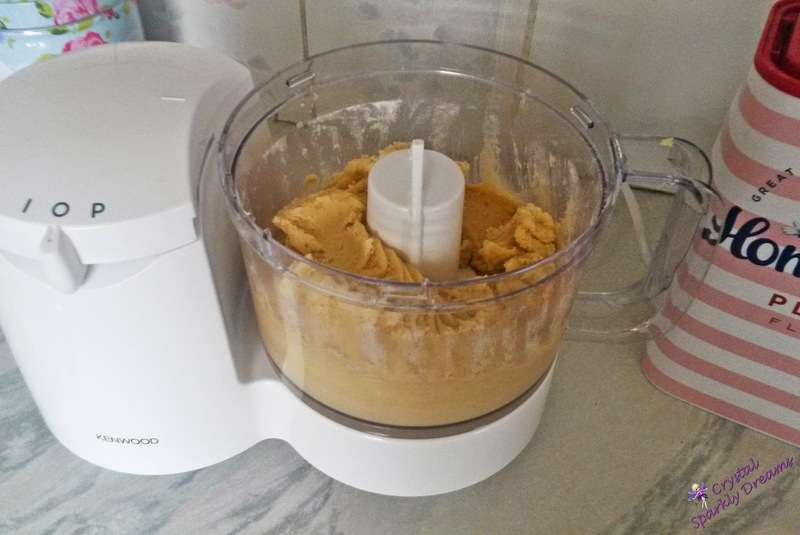 I was lucky enough to get a really nice food processor recently (with the aim of doing more baking) and this made the recipe really quick to make but of course these cookies can be made by hand too, just with a spoon, a bowl and a lot of mixing! After gathering up my ingredients (minus the coco powder in the pictures), I started by cutting the butter in to cubes and adding it to the sugar in my processor, it only takes about 10-15 seconds to make the mixture nice and smooth and all I used to measure out all my ingredients was a basic cereal bowl and a set of scales. 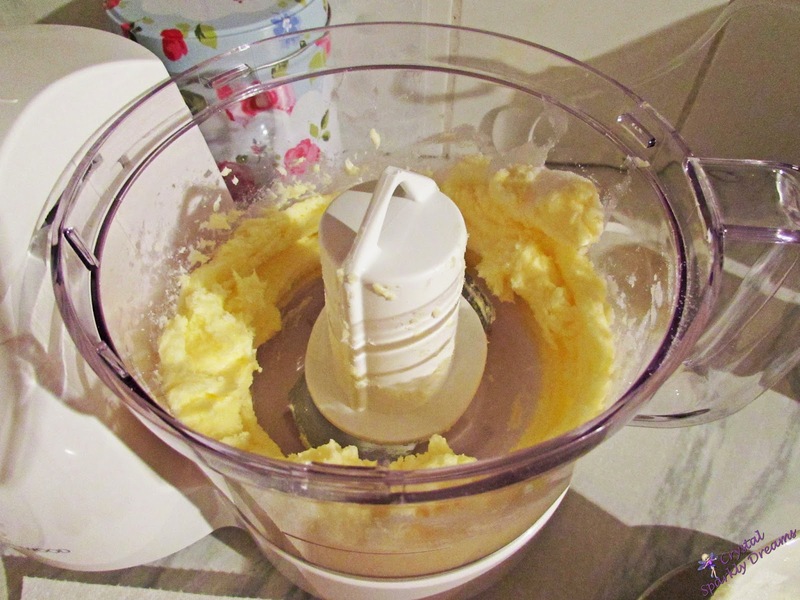 Next, I broke the egg in to my bowl, made sure there were no loose bits of shell in with it and then slightly whisked it with a fork before pouring it in to the food processor and mixing it again. 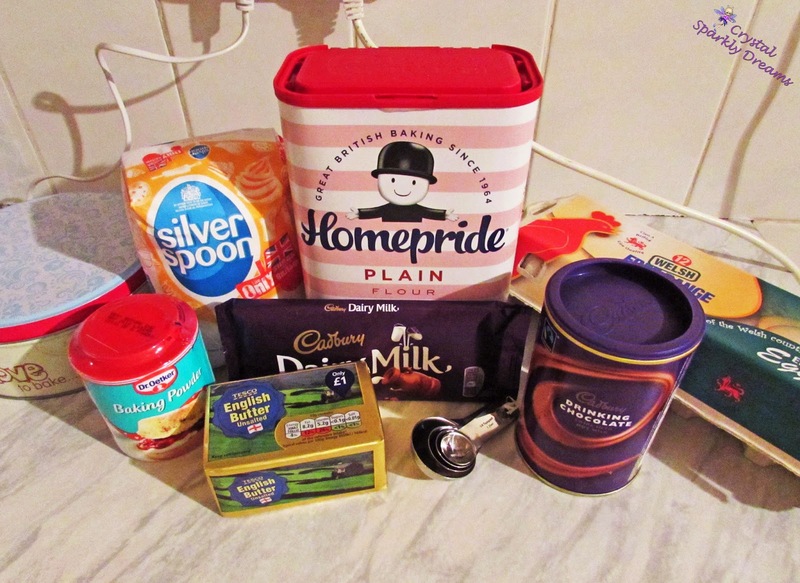 Then I added the rest of the main ingredients; the flour, baking powder and salt (which I forgot to take a photo off, whoops!) And then thoroughly mixed it all together. Finally, I chopped up 150g worth of chocolate into little pieces, ooh yum! 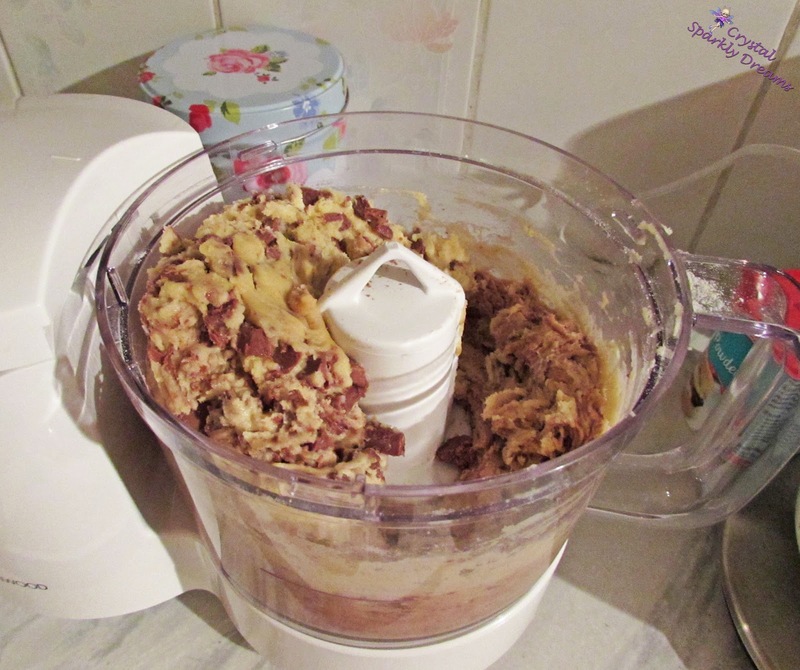 And then to finish off I crushed up about 50g of ordinary organic almonds and carefully added it all in to the food processor and gave it a final mix, just enough to spread the chocolate and almonds evenly throughout the mixture. 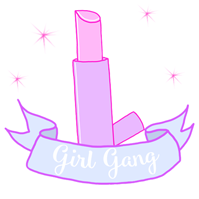 Taking a table spoon and a butter knife, I just spooned out a small dollop of the mixture on to my baking tray (after covering the tray with greaseproof paper), and with the knife just patted each one in to a 1.5" – 2" flat circle. 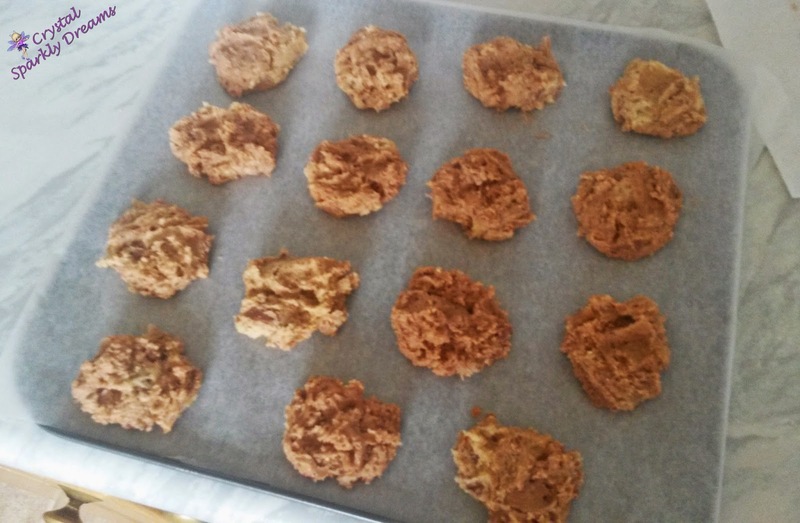 I manage to get about 15 little dollops of mixture evenly spaced on the tray, definitely make sure you don't put them too close together, otherwise they'll just end up spreading in to one giant cookie! 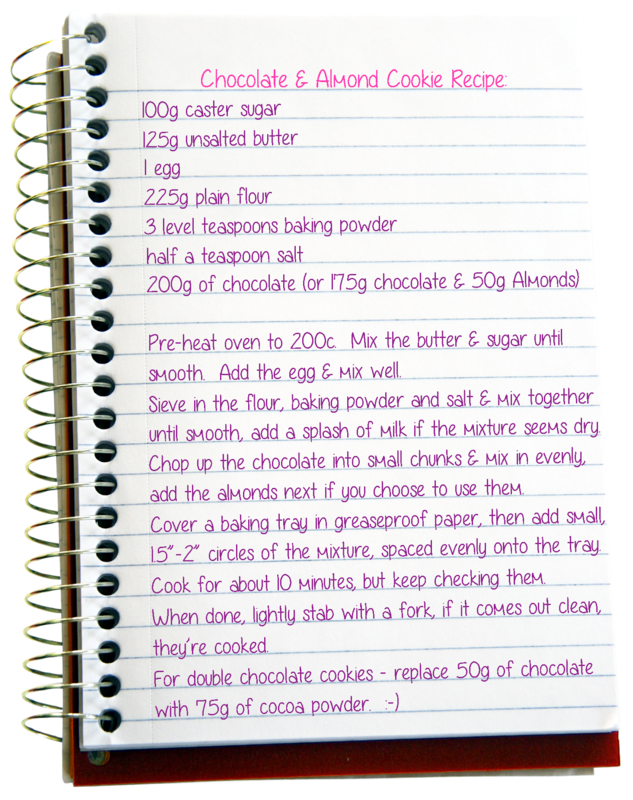 Just to add, this recipe makes around 28-30 cookies in all, so you'll need to cook one tray-full then another, or if you prefer, just halve all the ingredients for a smaller batch. 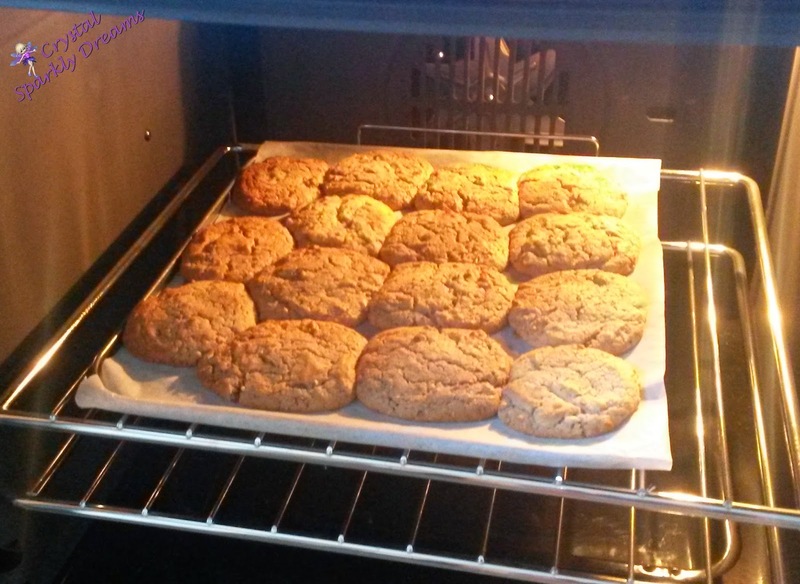 I put my oven on when I first started adding the mixture to the tray, just so it had a few minutes to heat up ready, then I put my tray of cookie mixture in the oven on the top rack to cook. After about 5 minutes I turned the tray around to make sure the cookies continued to cook evenly, then after nearly 10 minutes, they were all done. After checking them with a clean fork (as in the instructions above), I just used a knife to cut through where they had joined together and then let them cool. 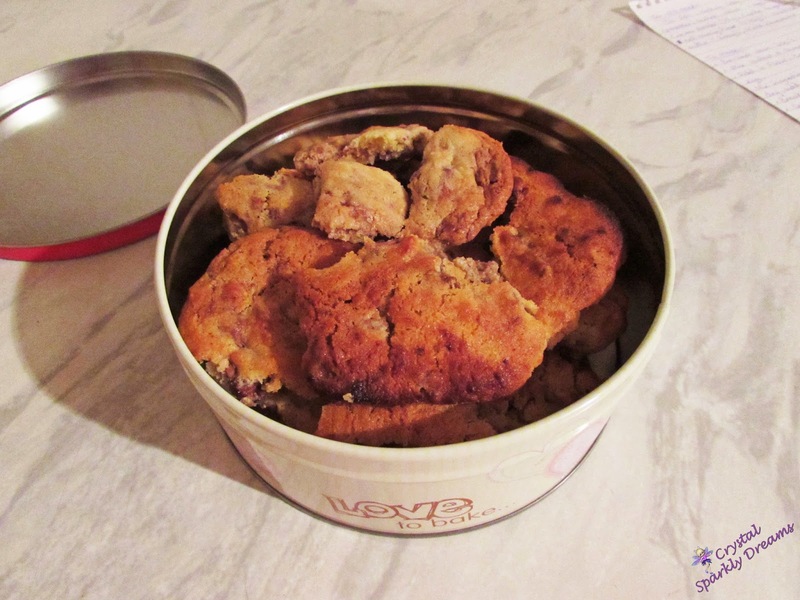 As I mentioned earlier, this was my second attempt at making cookies, my first attempt really didn't go so well. 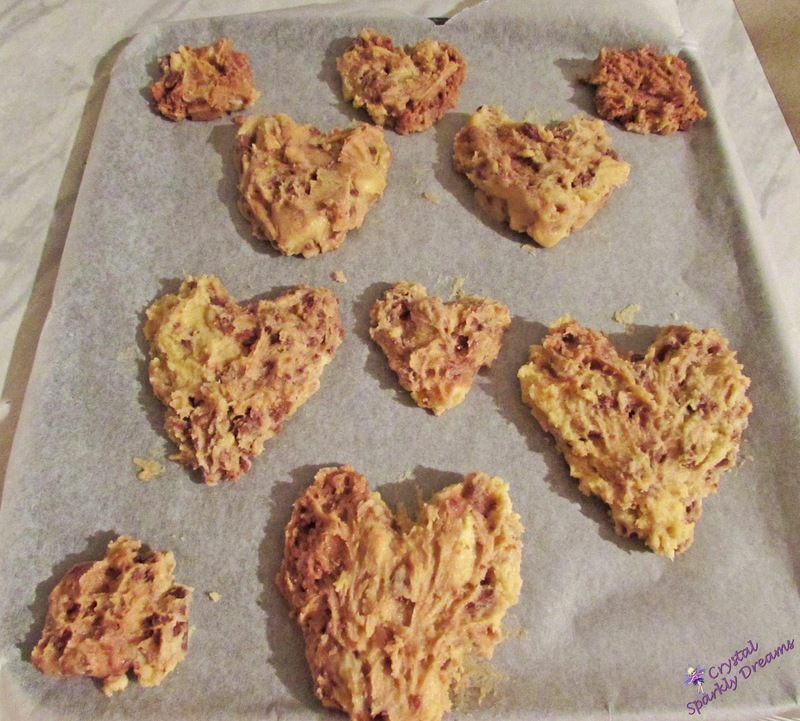 I planned to make some cute heart shaped cookies for my boyfriend and I to share on Valentines day, they went in the oven in a reasonably good heart shape, but honestly they came out looking more like a big splodgy crumbled mess! On the upside, they tasted great :-) but I think I'll definitely make smaller shapes and space them a lot further apart if I decide to make shaped ones again in the future! 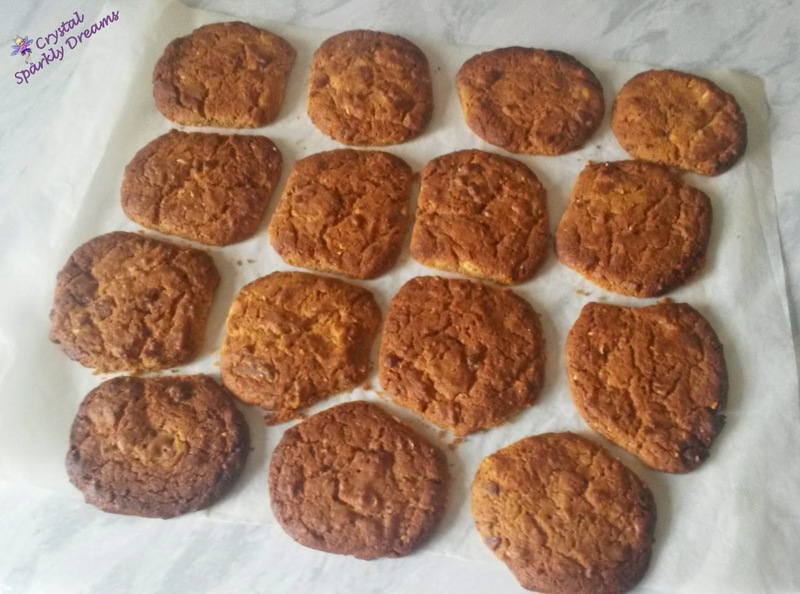 I'm really happy with this batch though, they've definitely come out looking a lot more cookie-shaped :-) So will you try out this recipe, if you do I'd love to hear about it in the comments and send me a photo of your finished cookies on Twitter too.